Nutrition Facts Labels- My new Best Friend! Walk down any half decent grocery aisle today and you have rows upon rows of pretty looking food packets giving you the come – hither look. And boy , do they tempt! They promise you that secret no Indian housewife would like to openly acknowledge – Convenience :). Followed by the assurance of taste, health,flavors and the like. But then like the mythical mermaids that led sailors to their end, these packets can seduce you into stocking some really unhealthy food. Not all packaged food is bad though and the trick lies in making an informed choice- knowing the good guys from the bad. And even though I am a fresh food advocate , I cannot deny having succumbed to that temptation of convenience a few times. 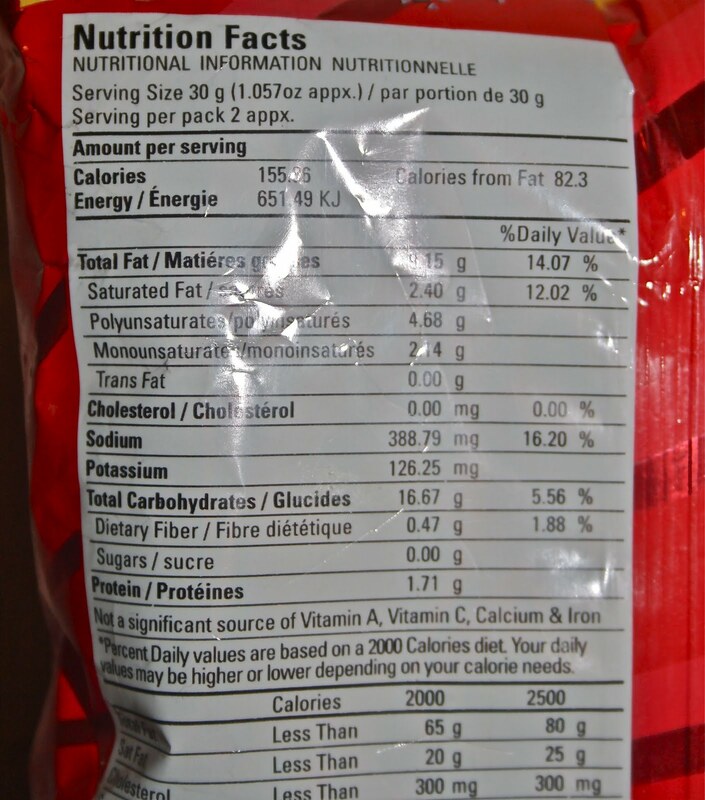 But just to make sure that I make a better choice, I learnt to pay attention to that little thing called ‘Nutrition Facts’ printed on almost every packet. I am re-educated. Ever since I started paying attention to the wealth of information on the Nutrition Facts label, the way I look at that packet of soup powder has changed forever. So, why does that label deserve more than a casual look ? 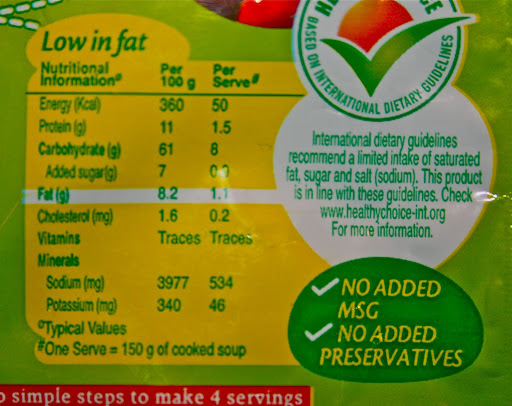 a. Servings / pack – The nutrient content on the ‘nutrient fact’ label lists quantities per serving , while a pack may have 2 or more servings. Do the math. With all chances of eating that entire small 45g Namkeen pack on the left , one would have consumed double the quantities of fat /sodium/ carbohydrates etc mentioned on the label! c. The ingredient lists are mostly in descending order of amount of that ingredient in the food, so you know that if sugar comes way up first, its going to be high on sugar. d. Calories from fat. Limiting that number would be better idea. 2. CUT THAT IMPULSIVE PICK. There are times when I have picked up a fancy looking salad dressing bottle ,only to keep it right back after reading its nutrition facts! 3. PLAN HEALTHIER MEALS. Knowing recommended daily allowances of fat, fiber, sodium, carbohydrates etc and being able to decode the nutritional information on a food packet will lead to healthier picks and thus, healthier meals. ‘100% Natural , ‘No added MSG , ‘Low fat’ , ‘Transfat free’ – with such catcalls, its easy to fall under their spell. But delve a little deeper into the ingredient list or the Nutrition Fact label and one realises how brands can pull a fast one on you. Take a look ! 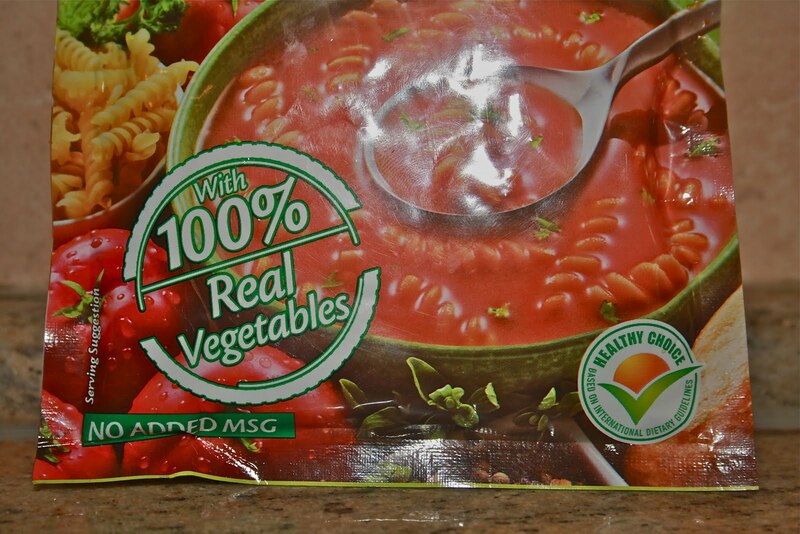 The pasta soup powder pack with its ‘100% Real Vegetables’ , ‘No added MSG’ , ‘Healthy Choice’- which are all true claims. Would you still call it a ‘Healthy Choice’?! Give me a pot of freshly made, nutrient dense tomato soup made from real tomatoes any day! 5. COMPARE & CONTRAST .Between foods and between brands within the same food category. Which has more fiber? Less Calories from fat? Lower Sodium content? Choose accordingly. 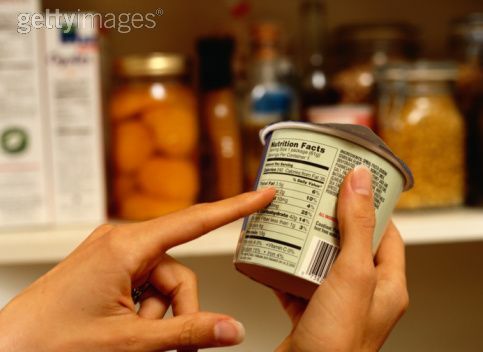 Paying attention to Nutrition Facts labels can help decide which foods to limit and which ones to stock up. However, the best bet is still to keep up our Indian traditions of cooking from scratch as much as possible and minimize the ready to eat / processed / packed eats out there. Be informed. Choose better. Stay Healthy.